The Uluru and Kata Tjuta area is truly magical. There are so many things to do and admire! It is worth spending several days there. Below I list some of the activities you could consider during your stay to discover Uluru, Kata Tjuta and the area: walks, flight, sunset platforms and more..
As I love geological formations I was excited to see the majestic 348m high Uluru (also called Ayers Rock) from every angle possible. 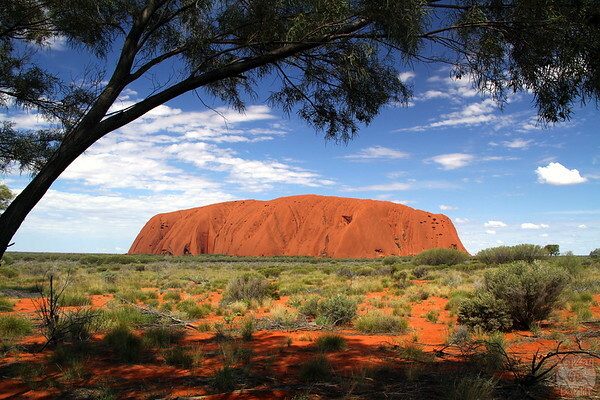 With many photo stops (where allowed) and taking your time, the base walk of Uluru takes under 4 hours. It is a 10.6 km loop that should not be attempted in the middle of the day. It is a very hot desert! It takes you to many intersting features of the rock and ancient painting. For those courageous enough to wak up early, the Talinguru Nyakunytjaku platform is the place to go for sunrise. 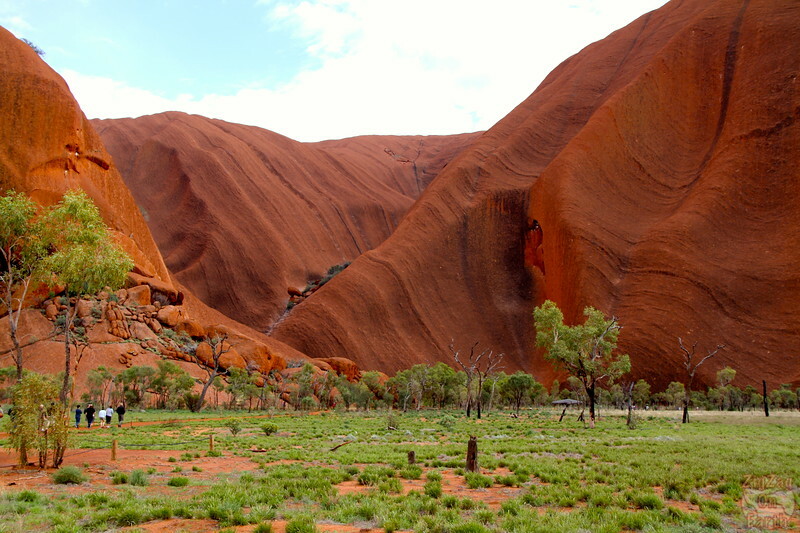 From this location, Uluru actually looks quite different.​ You see more ondulations. It is difficult to be alone for sunset around Uluru and Kata Tjuta﻿. The bus platform is a good example of that as every tour bus converge there for the golden hours on the rock. Luckyli it is well developped and there is ample of space to set up and admire the giant - but no silence. Less people than at the bus platform but still a lot of them. This area offers some more composition options with trees. Platforms are not only for sunrise and sunset. The bus platform is also accessible to cars during the day (before 4pm). 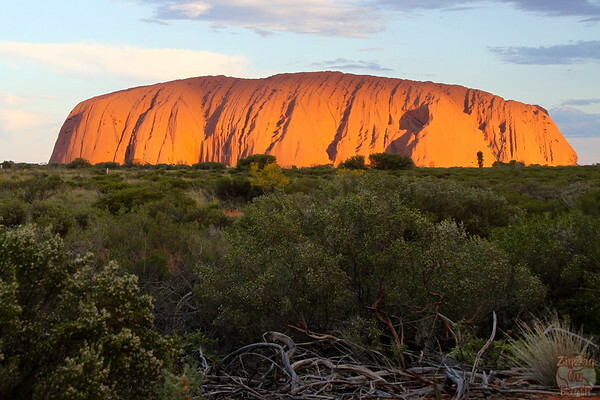 However because of the harsh light​, Uluru looks less interesting as you see less details. Just in the middle of the Ayers Rock resort is the Imalung lookoout. There is a path from the Ayers Rock resort entrance and from the campsite entrance. 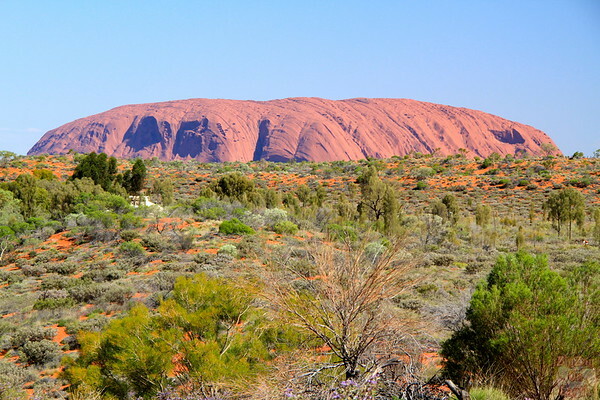 It is a short and easy walk and already gives a great view of Uluru. You can notice that we get a different perspective​ on Uluru. It appears larger. 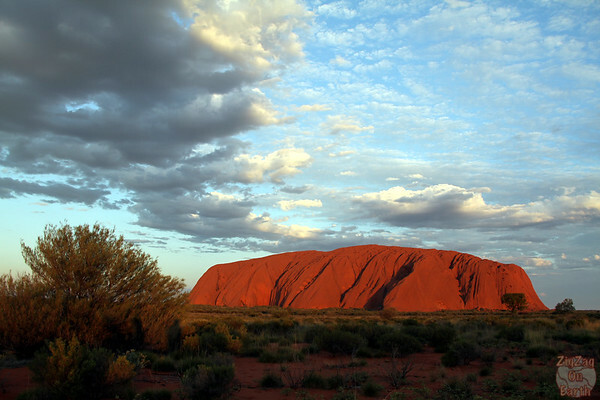 Unless there is really bad weather, it is authorized to climbed Uluru. However there is a big debate as the local aboriginals consider it sacred. 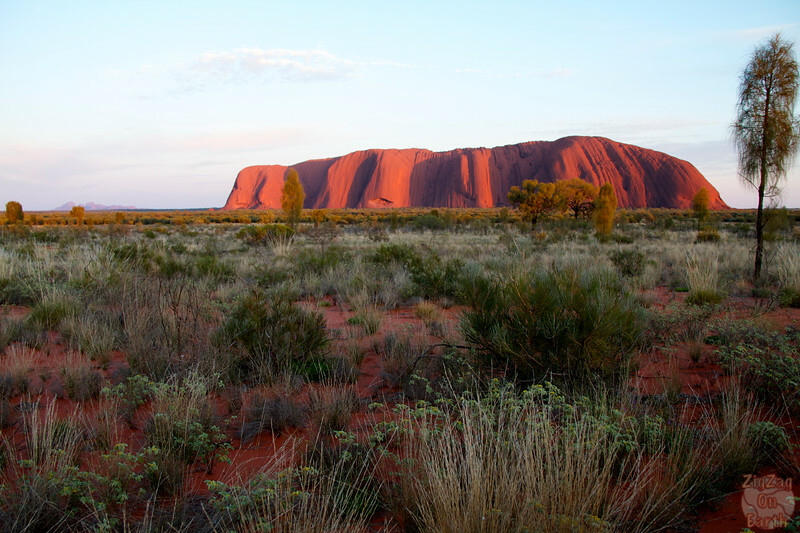 Learn more about the controversial Climb of Uluru by Waking up wild. 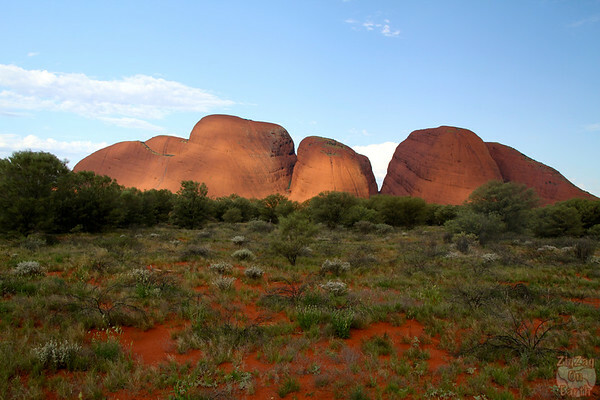 Kata Tjuta (also called the Olgas) is a congloremate of 36 domes. Mount Olga is the highest one and cuminates at 1066m above sea level, or 546m above the surrounding ground. 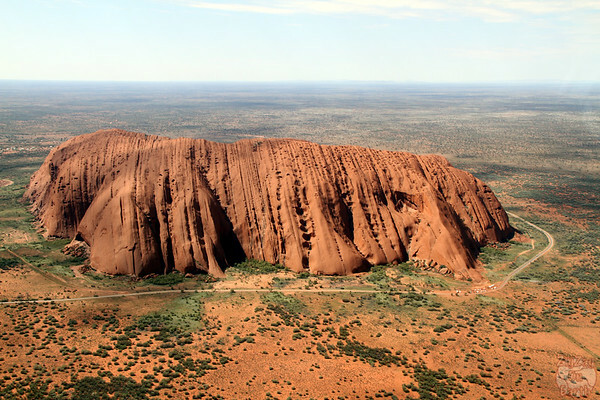 It is a sacred site of the aboriginals and most of it is closed to visitors for that reason. Many legends surround the places but are not shared with outsiders. 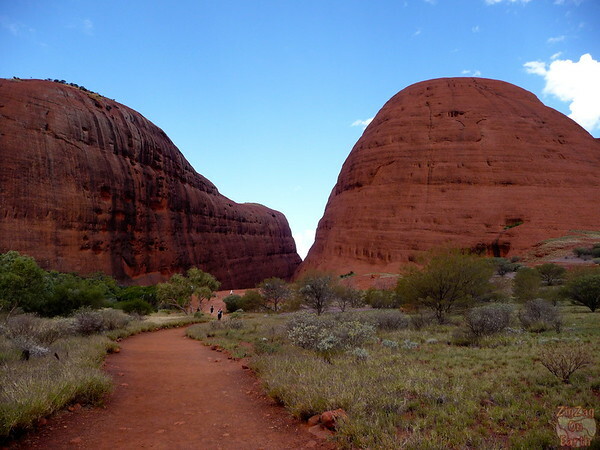 The Valley of the Wind Walk is a hiking loop in the section of Kata Tjuta opened to visitors. The circuit is 7.4km-4.6miles circuit​ or you can do only a portion of it and turn around. ​This walks takes you up between domes and on a circle in the middle of some of them. 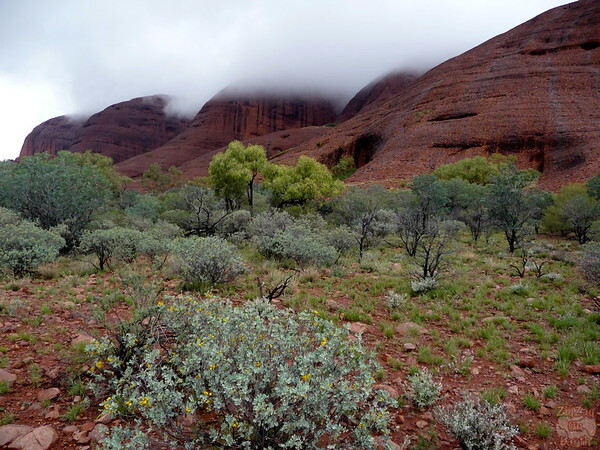 The Walpa gorge is the easy 2.6km walk (1.6 miles) at one end of Kata Tjuta. It leads you to a narrow canyon between 2 domes and back (1 hour). This is a great way to realise the siwe of those domes. Check out on the picture the scale of the people compres of the domes. The sunset viewing platform of Kata Tjuta offers a limited view of the domes but this where they are the closest creating an interesting all-together shape. I have visited the platform only during the day and it was already really nice. This platform is the best location for Sunrise over Kata Tjuta. However during the day it does not have the best perspective. 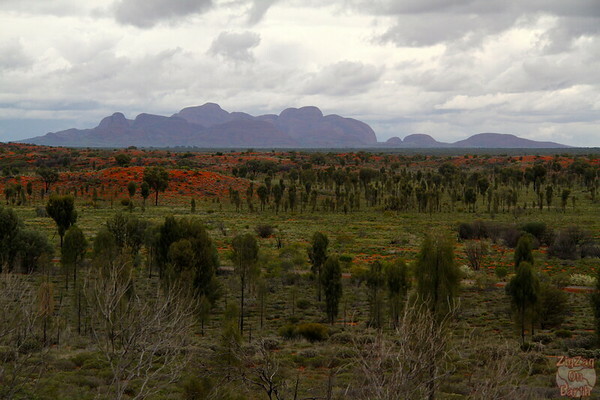 You can see the spread of the Olgas but it is harder to separate the domes. As the desert around Uluru is very flat, there is no viewpoint at higher ground. Therefore taking a helicopter flight is a fantastic way to get impressive views of the giant with a different perspective. On the tour I selected, we also flew near the 36 domes of Kata Tjuta (most of which you cannot see from the ground as the area is closed to tourists) and Lake Amadeus salt pan. A great way to grasp how unique this place is! For one morning, I booked the Desert awakening tour. I enjoyed the isolation (as the group is very small) but disappointed by the scenery as Uluru was too far. After walk in the dark up a sand dunes we discovered the settings with the breakfast seats and cooking facilities. Food was great. 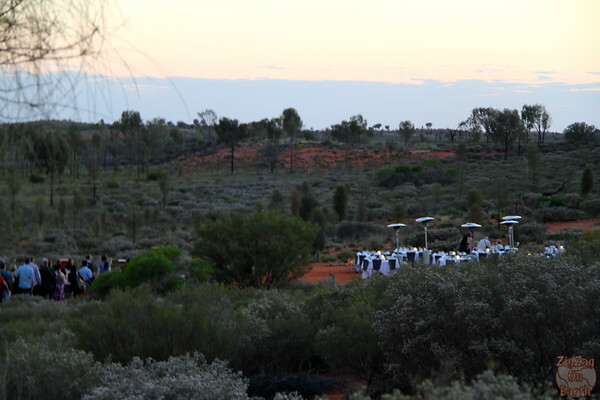 More photos and information at the bottom of my Uluru Sunrise and Sunset post. Sounds of silence starts with big buses – not my cup of tea. We first enjoyed sunset on a platform with a glass of sparkling wine. Sadly that evening, there were too many clouds for a nice sunset. I was lucky that the evening I picked was a moonless night and it was perfect for the astronomer’s talk. We could see perfectly all the constellations and the Milky Way was striking. It was the fist time I spent so much time looking at the stars but I have done it again many times since then. Of course there are other activities, some more cultural (for example cave hill) and some more atypical (for example the Harley Davison tour). I just wanted to share with you the ones I did to give you an idea before you plan your trip. My 3 days were fully packed but I really enjoyed my stay there! To see more of this amazing region you can drive to and hike the King's canyon. You can also enjoy a road trip all the way to Adelaide. 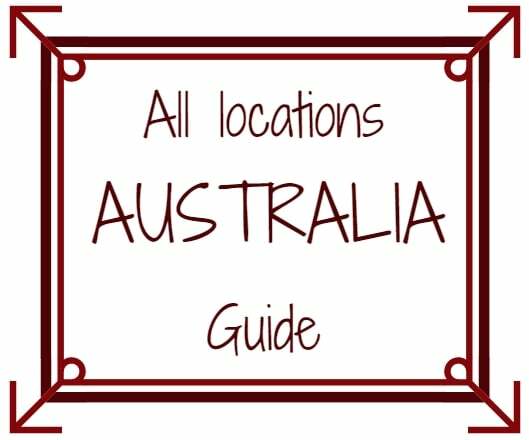 Check how Laura traveled between Adelaide and Alice on an Outback adventure. Will you stay on your own or book a tour? I want to know how can we reach to the car sunset location from the any of the car parks inside the Uluru National park. Like how can we reach from Mala Car park or Kuniya Car park to Car / Bus sunset viewing location ? Can we walk, if we dont have a private car ? I have seen people walking but it is quite a walk without shade as you have to stay on the road. You can’t cut through. From Mala to the sunset platform and dunes would be 1h15 walking. The easiest but more expansive option would be to head back to the hotels and then book a bus tour to watch sunset departing from the hotels.